Learning online to play guitar will enable the beginners to grasp the basics and subsequently when they attend the classes conducted by a professional guitar teacher they will find it easier to pick up the lessons in their preferred styles. There are many Guitar learning websites that offer the lessons online that suit to those who play electric as well as acoustic instruments. Some of the websites offer free lessons also to begin with. The fees charged by the guitar lessons websites are also affordable. It is not so easy to learn guitar. 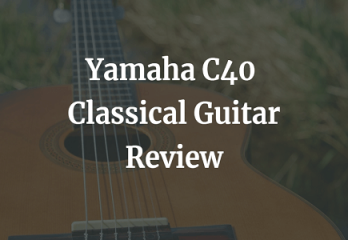 However, the basic lessons provided by the websites are rather easy so that the beginners start to enjoy learning guitar without caring much the difficulties on their way. By successfully completing the online guitar lessons the beginners become confident about their skills and will come forward to learn guitar with the motivation to become professional guitar players. The lessons provided by the websites are prepared by professional teachers. 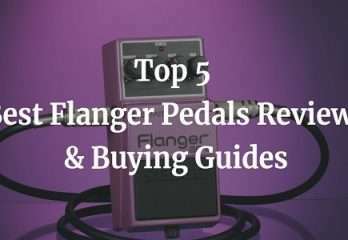 Those who plan to learn guitar basics online should make it a point to visit a few websites, go through each aspect of the website and compare the features. While taking the basic guitar lessons online, it is also important to listen to guitar music played by others which will enable them to learn special techniques and develop a style. Listening to the online lessons and watching the performance of others together constitute a perfect blend of learning. Instead of self-learning, it is advisable to take the basic lessons of guitar from a guitar lessons website since the lessons are designed and prepared by highly experienced teachers. 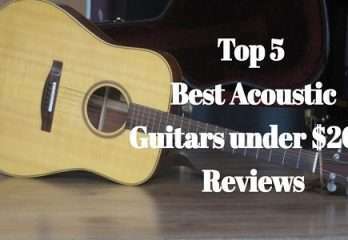 The outstanding features of the 11 best guitar lessons websites in 2019 are described in this article. More than 80 professional guitar artists as teachers, a website that assures seamless navigation, perfectly designed lessons online and an amazing video make Jam Play one among the most popular online guitar learning websites. This website is offering a very wide range of lessons covering great artists like Willie Nelson, Eric Clapton, Jimi Hendrix, ZZ Top, Korn, Goo Goo Dolls and many more. Jam Play offers training on a variety of styles including jazz, pop, blues, bluegrass, finger style and surf. Numerous acoustic guitar lessons are provided for the beginners. The various advanced tools, live demos and Q & A sessions make the classes highly interesting as well as informative. The learners can choose either live lessons or pre-recorded lessons. This website offers more than 400 guitar courses. Interaction with teachers makes the live courses more exciting. The membership provides access to the various tools that help the learners to play guitar in a better way. The weekly Live Courses are for 5 days in a week. Jam Play is an ideal guitar learning website for beginners as well as professional musicians. This website offers the opportunity to attend the classes of world renowned teachers. Jam Play offers very attractive prices for 2018. For the 12 month course one has to pay just $9 per month. Moreover, there are exciting welcome bonuses. Before taking the membership the learners can have a free trial. For each learner – beginner as well as expert – Jam Play really offers something special. Jamorama is one of the most preferred guitar lessons website, especially by the beginners. A lot of e-books, videos and PDFs are available in its library. This website offers free sign up and the fees charged by this website are comparatively less. The learners enjoy the lessons since the various special features of this website make guitar learning interesting as well as fun-filled. The beginners get immense motivation from members of the user-community and this aspect helps to fill vacuum due to lack of direct interaction with teachers. Apart from learning the basics as well as chords, Jamorama provides lessons on how to maintain the guitar. Jamorama has created a social network of the guitar students and as a result the learners never feel lonely. They are able to make a lot of friends and can share with them the lessons as well as the joy of learning. Many seasoned guitar players also are benefited by the video courses offered by Jamorama to reach higher levels. The course programs are perfectly designed, the lessons are clear and easy to follow and the learners will find the classes highly entertaining. Jamorama offers free trial also. 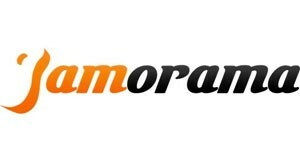 The monthly membership fee charged by Jamorama is considered the lowest and in the range $4.95 - $9.95. The lessons offered by ArtistWorks are of a different format. The learners can choose membership of the lessons offered by a specific instructor and need to pay the membership fee for those lessons only. The lessons from the specific instructors are available for different durations like 3 months, 6 months and 12 months. The instructors are very able and the lessons are of the best quality. 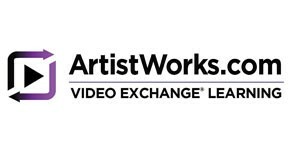 The video exchange feature of ArtistWorks enables the learner to submit the video of his guitar playing to the instructor who will view the same and give his feedback. The learners can also view the videos submitted by the other learners. As long as the learner has the membership for the lessons of a particular instructor, he can access all the lessons provided by that instructor. ArtistWorks charges $35 per month for the module for which the learner has signed up. One of the fastest guitarists Paul Gilbert is offering the Rock Guitar course and Guthrie Trapp, a leading guitarist from Nashville provides the Electric Country Guitar lessons and Bryan Sutton takes care of the Bluegrass guitar lessons. ArtistWorks has Nathan East as one of the bass instructors. As one of the oldest as well as top guitar lessons websites, GuitarTricks offers not less than 11000 lessons and more than 700 songs. This website assures easy navigation and the videos are super-clear 4K. The video player has all advanced features. About 32 professional musicians are serving as instructors of this online guitar lessons website. The Level 1 course is the best for beginners and on completing the Level 1 the learners will be able to play simple songs. It doesn’t mean that Guitar Tricks is for beginners only. The foundation courses offered for rock, country and blues are ideal for those who already play guitar. The 700 song lessons include Pearl Jam, Metallica, The Beatles and Blink 182. The 700 songs that cover almost all styles make the course program exciting and interesting. Millions of guitarists are using the lessons offered by Guitar Tricks and lessons are offered for acoustic guitar as well as electric guitar. 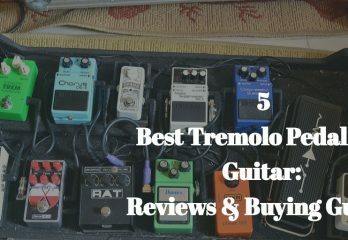 The variety of advanced tools, the friendly community and the highly informative blogs make Guitar Tricks one of the most preferred websites of guitar learners. The learners can have free trial of the lessons. The fee per month for membership is $19.95 per month. The free trial is for 14 days and for the paid lessons 60-days guarantee is also provided. In case the learner finds after 45 days that the lessons are not suitable, he can claim for refund. 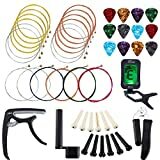 GuitarInstructor.com offers online lessons for those who want to learn guitar playing in a variety of styles. This website offers guitar learning lessons for beginners and seasoned guitar players. This online guitar lessons website is ten years old and the website is enriched with new content on daily basis. The website provides electric as well as acoustic guitar lessons and also separate video course is offered for kids. The beginners who want to learn classical guitar playing will be trained to play music of well-known composers and those who want to follow the traditional methods will be trained to play the methods of Hal Leonard. There are specific instructors to help the students to learn the styles of their choice. This website offers free trial for 7 days. The monthly subscription fee is $9.99 per month for which the learners are assured unlimited access to more than 40000 video lessons and guitar tabs. The lessons include guitar tabs, video instructions and audio track. The learners can play their preferred songs using the G-Plus format provided by Guitar Instructor. Guitar Instructor also offers a special subscription program – G-PASS. Those who subscribe this program will be provided unlimited access to the entire content which includes video lessons, video songs, guitar tabs, play-along tracks and various other facilities. G-PASS is now offered for the introductory annual price of $99 whereas the regular price is $149.99. Justin Guitar.com is the website known for its free online guitar lessons. The learners can select their lesson from the over 10000 video lessons provided by this guitar lessons website. The website also provides a lot of high quality reference material, amazing styles and thousands of songs. The most appreciated aspect of Justin Guitar is that this website offers free guitar lessons that are well organized and perfectly designed and also with the best sound methodology. Free guitar learning online through Justin Guitar is indeed a great facility for the beginners of guitar playing who can’t afford costly tuitions. While the lessons are 100% free, those who want to contribute an amount of their choice are welcome to do so and the amount will be utilized to improve the website further. Free membership is offered by the community and the members are entitled to be benefited by the exclusive features of the website. The registered members can save the lessons as well as songs to their profiles. The members who log in to the website will be provided with many awesome new features shortly. Those who register with this website in 2018 will be getting the lessons from the improved website of Justin Guitar which is more advanced as well as responsive and the new lessons are of excellent quality. 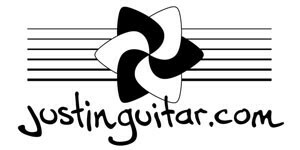 Guitareo is an outstanding online guitar lessons website and the online guitar lessons for the beginners provided by this website are prepared by Nate Savage who has experience of a decade in training the beginners. The beginners are offered free lessons that are of high quality and the intermediate players are provided with a variety of advanced lessons. Lessons for beginners include acoustic and electric techniques and the learners are trained in a variety of styles like bluegrass, blue, country and metal. Those who wish to improve their skills further can opt for the step-by-step video lessons. The website offers 100% guarantee for a period of 90 days. The website offers more than 80 step-by-step lessons and more than 1200 on demand lessons. All the video courses are perfectly designed as well as organized. The progress in learning will be tracked and feedback is given individually. Personalized instruction and support is a great advantage of Guitareo online guitar lessons. With about 25000 video lessons for guitar learning, TrueFire earned the reputation as the online guitar lessons website with the biggest resource. 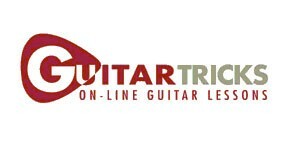 TrueFire is considered as the ideal guitar lessons website for those who are advanced players of guitar. This website offers lessons for beginners also. The website offers numerous courses on various guitar topics and the learners who want to rapidly improve their guitar skills are sure to find this website their best option. 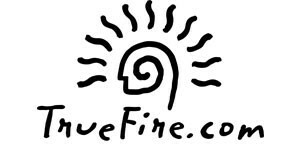 TrueFire is the best guitar lessons website for those who know the basics and are quite familiar with the instrument. 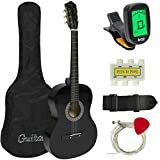 Guitar Compass is one among the oldest online guitar lessons websites and the learners of this website are provided access to video lessons, tabs, jam tracks and a variety of other materials. This website is quite simple and navigation is easy and smooth. The website offers free as well as premium content and the lessons are well organized. Those who are interested to have paid membership are entitled to the 7-day free trial and the really competitive membership fee also makes this website the preferred choice of thousands of guitar learners. Access to free items is assured to those who do not sign up also. The step-by-step video courses are organized by highly experienced instructors and those who are advanced guitar players can easily get to the next level by attending the online lessons provided by this website. The fee for premium membership at Guitar Compass is $9.95 per month or $89.99 per year. Hundreds of video lessons, Videos with HD quality, videos viewable on Desktop, Tablet and Mobile devices, play along jam track, option to cancel at any time and money back guarantee are the other outstanding features of Guitar Compass. The guitar learners are assured of help by professional experts to overcome their difficulties in learning guitar if they become the members of this online guitar lessons website. At Fretjam, the learners get the opportunity to pick up very useful tips to develop the right mind frame for learning guitar. The specialized lessons, the backing tracks and the various advanced tools enable the learners to reach the highest level in guitar playing. For the beginners a crash course is offered on guitar intervals. Fretjam is an awesome source of free online guitar lessons. Fretjam helps each player to develop a unique style of playing guitar. Hub Guitar is an online guitar lessons website committed to provide high-quality guitar lessons to the aspirants for free. This website offers more than 500 lessons that contain video lessons, live recordings and images. This website focuses on teaching the learners the fundamentals of guitar playing. Hub Guitar was established in the year 2011. This website has taken it as its mission to provide guitar lessons of professional quality 100% free to all those who are ready to learn guitar through practicing with dedication. Those who plan to learn guitar in 2019 are sure to realize that learning guitar online is now easier, more exciting, more useful and less expensive. The learners must be very careful while choosing the online guitar lessons websites for them. Free online guitar lessons provide a great option for the beginners to learn the basics of guitar. When they want to go to the next level they have to pay for the lessons. However, while selecting the website that provides the lessons for prices that are well within the budget of the learner, one should also consider the quality of the website, the features offered and the quality of the lessons. The learner should ensure that he gets the best value for the subscription amount he pays. The online learners should keep in mind that pre-recorded lessons are less expensive when compared to the lessons that are provided in-person. For learning the basics, it is advisable to opt for the pre-recoded lessons. The pre-recorded lessons can be viewed as well as played any number of times. When one is ready to learn the special techniques he may opt for live lessons. 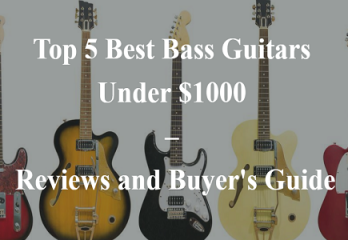 So, I think, this article helped you to know which are the top online guitar lessons websites nowadays right? or still, any questions remain in your mind that about what is the best place to learn guitar or online guitar lessons near me? Don't hesitate to let me know via comment box.